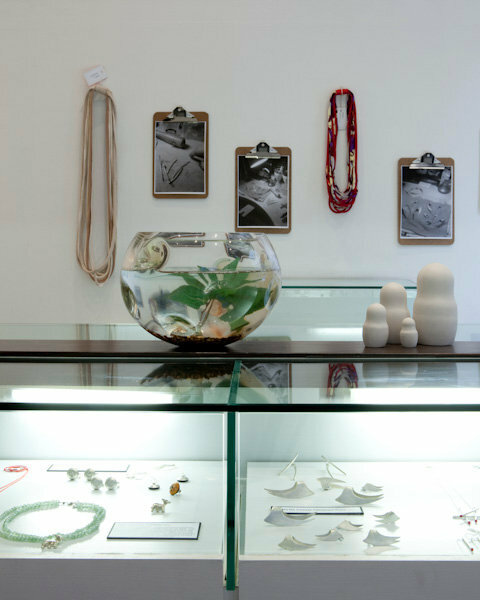 Just wanted to show off a snap of some Simply Phoebe pieces hanging in the new store at Gaffa, Sydney called Sterling (thanks to the amazing Miss Zoe). You can check out a recent interview about Sterling with Zoe and the rest of the talented team behind Gaffa on The Finders Keepers blog here. In related news, The Finders Keepers markets are coming to Melbourne! Applications are open now. Fingers crossed I will get a guernsey. This is a really really quick post while I take a small break from sewing like my life depended on it. Tomorrow (Sunday) I am off to Geelong for Piccadilly Market, and I am trying to get as many new Simply Camille fabric neckpieces finished for it as possible. As a result of pushing hard on the deadline, there hasn't been any time for photographing new pieces properly or uploading them to my Etsy store. Hopefully I will get a chance to take some good snaps tomorrow (I'm also pretty excited about the photographic possibilities of all the natural light I will have in my new house when we move in...NEXT WEEK!). Speaking of the Etsy store, please bear with me, as it desperately needs some updating at the moment and only features some of my very-Melbourne black on black range. I do have lots of new colourful pieces available, so if you don't see something you like on there, please get in touch with me and I will be happy to oblige with other snaps or special orders. Life's a bit mental with the market tomorrow, house move next week (as well as a couple of cheeky Splendour side show gigs) and the small matter of my "real job", so apologies for the lack of posting and updating! Life will return to order soon and I have lots of ideas and plans for new designs and creations bubbling away. PS if you are in the Geelong area tomorrow (or in Melbourne and feel like a trip down the highway), come say hello at Piccadilly! It's on at the Deakin Waterfront Campus, Geelong from 10am to 4pm. Click here for a map of the location.